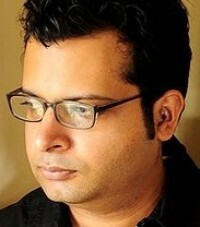 This is the 65th installment of Rhyme and Reason, my weekly set of limericks for the Sunday Times of India edit page. 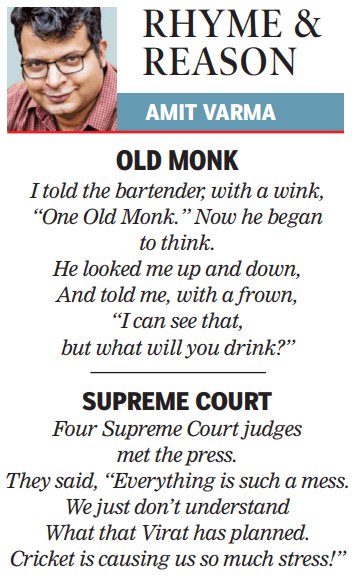 “One Old Monk.” Now he began to think. Four Supreme Court judges met the press. They said, “Everything is such a mess. What that Virat has planned.